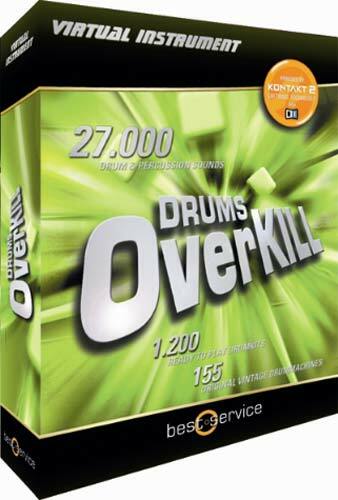 Drums Overkill is a new virtual instrument from Best Service that features 1,200 drum kits and atotal of 27,000 samples. Never before has such a huge collection of samples been formatted into "ready-to-play drum kits" that can be loaded into the included Kontakt 2 interface which you can then play on your keyboard. This is our number one recommendation for 2007! - 1,500 percussion instruments from ''around the world''.